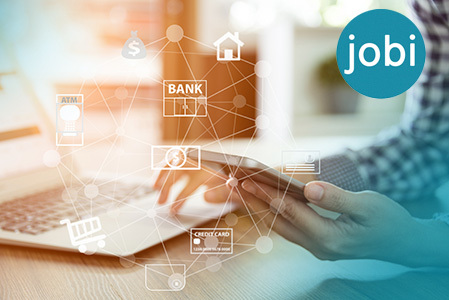 Managing every aspect of your service business doesn’t have to be overwhelming, with help from Jobi Pro Service Management App, you can finally take control of the situation to ensure that the entire operation runs smoother than you ever thought possible. Jobi Pro will aid productivity, financial efficiency, and internal communications throughout your service business. 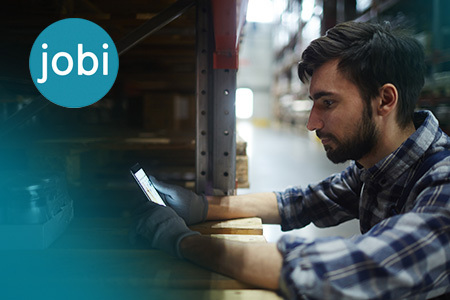 The ability to run your service business from your phone is undoubtedly one of the chief incentives for adding the Jobi Pro Service Management App to your arsenal. Given that your smartphone is on your possession on a 24/7 basis, this puts you in the perfect position to deal with emergency regardless of where you are at any specific moment. Furthermore, when you run your service business from your phone, you open the door to productivity in situations where it previously wasn’t possible. On another job call is a perfect example, but there are many others. Either way, making the most of those situations allows you to focus on more crucial issues when you’re actually in the office. Whether you manage an electrician contractor, plumbing contractor, HVAC contractor, or any other type of service Jobi Pro will work for you. By now, you should know that the entire business is only as strong as its team of employees. After all, the vast majority of client interactions and dealings are to be handled by the technicians you employ. Knowing that they will represent the company in the right way is essential. Getting more out of your team has never been simpler than it is with the real-time Service Management App. 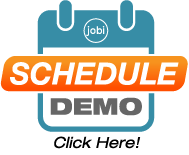 It is now possible to dispatch and track your technicians with Jobi to ensure that an expert is sent to each site with rapid response times. Better yet, you’ll know how long the technicians have been on site too. While you can’t be there to monitor their performances in person, the GPS technician tracking facilities and general monitoring features can put you in a far stronger position. The data collected from the App lets you analyze the progress of individual technicians while also comparing them against other experts with quantifiable metrics. In turn, if a member of the team isn’t pulling their weight, you’ll be able to identify and attend to this issue far sooner. As such, maximizing the productivity of your technicians has never been easier. With the online dispatch software and tracking facilities at your disposal, the control is quite literally in your hands. Regardless of the service your business provides, keeping the clients happy will always be the priority. While the quality of the work completed by your contractors should be at the top of the agenda, it’s important to acknowledge that customers have an array of additional demands. Our service dispatch software lets you stay on top of the challenge at all times. Technician tracking is supported by call tracking and home service scheduling. This ultimately keeps you in the know, which allows you to provide far greater transparency for the client. Communication is one of the most significant aspects of the entire interaction and can help prevent confusion as well as future complaints. In turn, customers are far more likely to remain loyal to your service. This increased level of transparency doesn’t end with communication, though. Flat rate pricing book allows you to import and adjust prices to your liking. It additionally allows technicians to provide additional products at an extra cost. As such, the App is a one-stop tool to manage your products, prices, and extras like warranties with greater ease than you ever thought possible. Essentially, clients will be left with an incredibly receptive and personalized experience. When added to the fact that your backend tracking promotes greater productivity from the team of technicians, the outcomes should be fantastic. First impressions count for everything in business, and many clients will form judgments before they’ve even had a chance to see what your services can achieve first hand. Embracing modern technology instantly gives you an advantage over your competitors due to the image factors alone. The fact that the Jobi App actively enhances the venture makes it the perfect option. Working in the digital arena is an attribute associated with the best modern businesses. 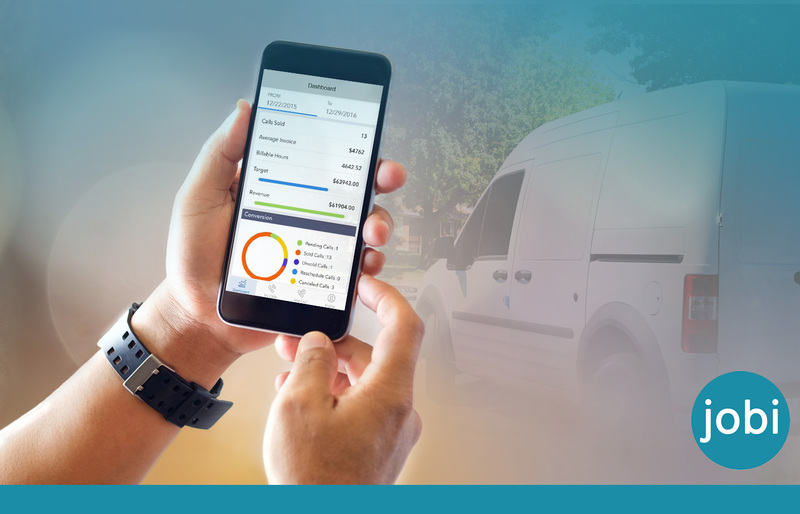 Aside from the communicational features with technicians and clients, the App supports your bid to become an eco-friendly venture thanks to Quickbooks integration and paperless real-time invoicing. Managing the payment aspects has never been quicker or easier. Let’s face it, time is money. Once again, the ability to complete many of the business endeavors from a smartphone or tablet device also brings a modern flavor to the venture. From a logistical perspective as well as a financial one, this can have a truly telling impact. Give your business a modern appearance. Provide clients with an added sense of transparency. Aid internal communication with your network of technicians. Allow yourself to be productive on a 24/7 basis. Cut down on unnecessary paperwork. Instill a sense of consistency in pricing and other key factors. Gain reassurance of knowing you’ve made the best investment. In conclusion, the App is a must-have addition for any business in the service arena. What’s more, now is the perfect time to make the leap of faith. Take the first step today by giving our experts a call. The future of your business will look better than ever in no time.